Anna has had a link with music since she was a young girl, starting her artistic career in 2010. Nowadays, her name appears in the booths of the best clubs in the underground scene, a fact which has helped her to catapult to international fame, and means that she is living in unending activity, accumulating performances in the five continents. visiting the best clubs and festivals of the planet. In her sessions she shows her passion for music, making her energy on the sets evident. A mixture of sounds that go from house with more groove until balancing it with the most melodic techno. This unique sound, her elegance and entertaining in the booth, have turned Anna into the perfect attraction, living with her an unforgettable experience on the dance floor. 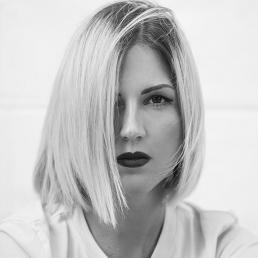 The identity of the Ibiza sound is international and Anna Tur is part of this, thanks in part, to the recent foundation of her own record label “Illusion Music” which came to light in mid 2016 with her EP debut in the production under the name of “A New Illusion”. Anna Tur is not only a DJ, but also the Managing Director of Ibiza Global Radio TV, one of the radio-TV stations devoted to the most advanced music in the world, which counts with more than 12 million monthly listeners on the net. Her facet as entrepreneur, her charisma as a DJ and her great energy, impetuousness and illusion for each project in which she becomes involved, make Anna one of the most charismatic and influential people in the industry. Anna, above all, is a romantic. A lover of music, radio and her native island, Ibiza.